Among the #swag I got from my colleagues from their trip to DreamForce 15, there was a pearl: Amazon Echo, well known as Alexa. The first (funny) thing I wanted to do was to make it (her) speak italian, and believe me it was as fun as learning how to use the Alexa Skill Kit: the only language you can use is English of course but you can still make her say strange words that "sound like" italian (after practicing building the library, even you would call it "her"). As usual, if you are a TL;DR person (btw I'm one of you guys), this is the GitHub repository with all the Apex Code. If you know how to setup a Connected App and expose e public webservice, you are ready to go (some changes on the code are still necessary, refer to the README.md file). 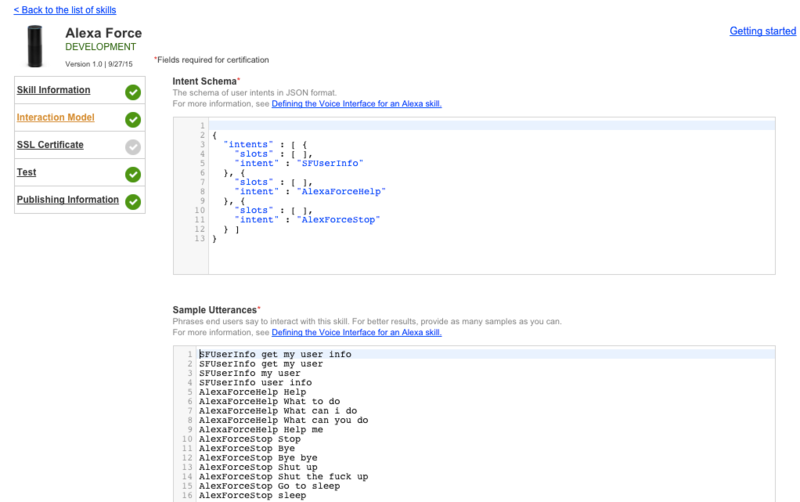 In this post I'm not going to show you how Alexa's Request/Response paradigm works, but instead I'll show you how to use the simple Apex library I've developed to help you implement your own skills and make the provided example service run on your Org. First of all because the Force.com platform is awesome and you can easily create REST services in few steps. 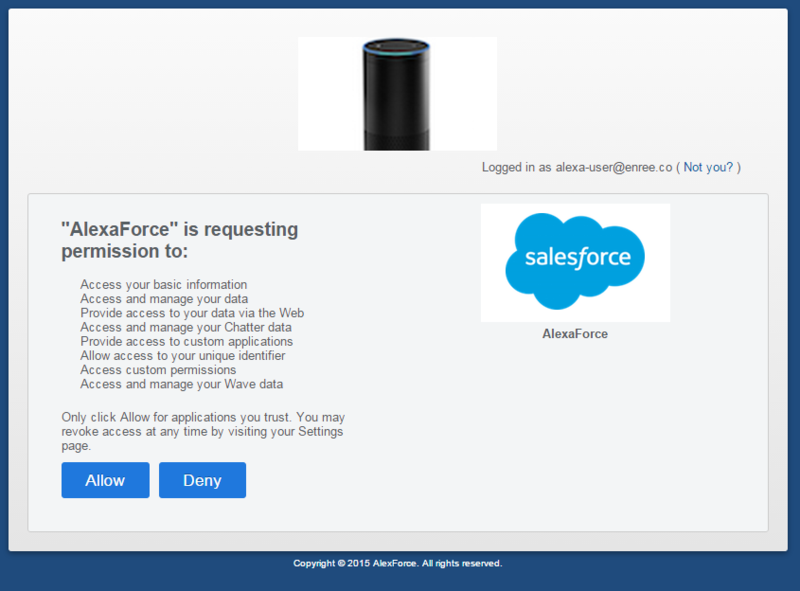 Secondly because you can integrate Alexa with Salesforce services (read this awesome post by Jeff Douglas, he has already developed some cool examples in NodeJS playing with Alexa) using your CRM with just voice commands. 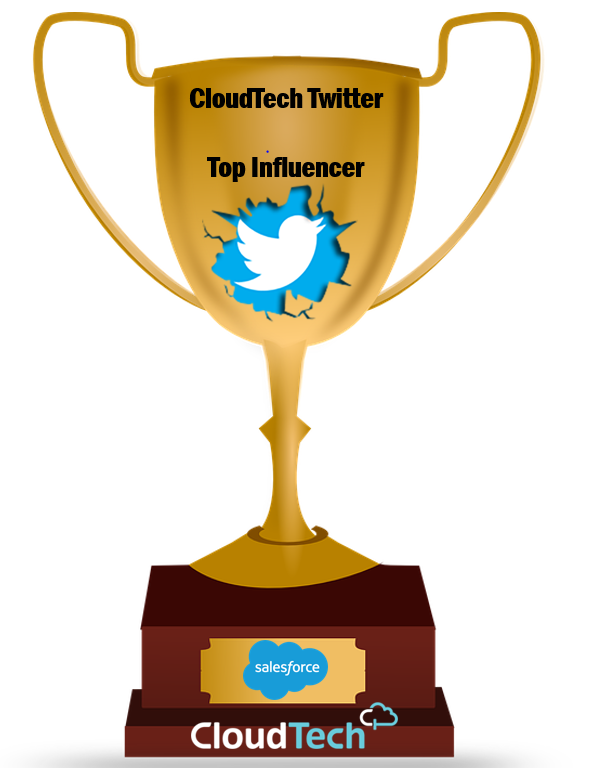 So instead of setting up a middleware between Alexa and Salesforce I thought that it would have been amazing to have the service built directly inside Salesforce! The first thing is to define a new skill. With your amazon account go to the Amazon Developer site. The Invocation name is the name that you have to say when calling this skill (e.g. Alexa, ask alexaforce for my user). 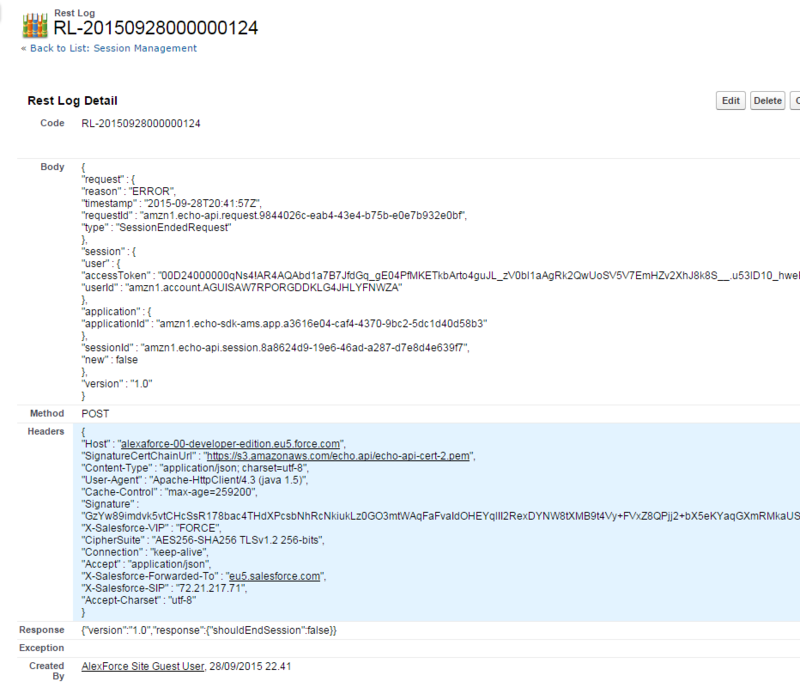 The Endpoint is the URL of the service (it will be your custom Salesforce REST service inside the Community): for now add a fake endpoint, you'll be configuring it later (after configuring the Community and creating the REST service). Write down your new Application ID. 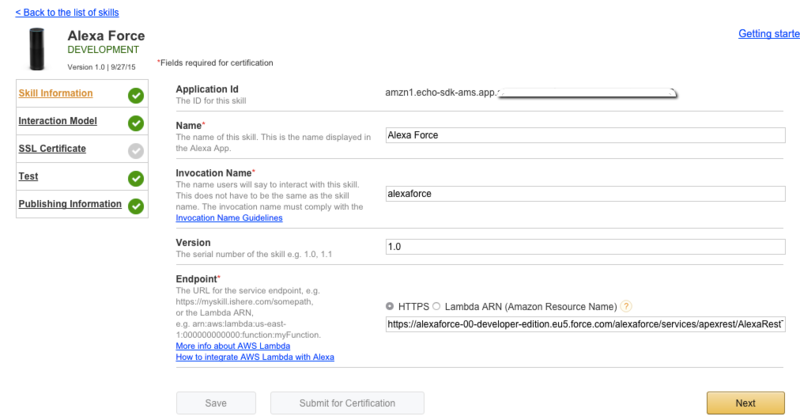 This configuration can only be completed when the Connected app has been created so you can link you Salesforce account to the skill: Alexa will be sending to Salesforce REST service the authorization token got when activating the skill on the Alexa site. For now get the Redirect URL and write it down somewhere but select Account Linking or Creation to No (we'll be activating this further). The skill is half configured: to complete the configuration we need some Salesforce configuration. 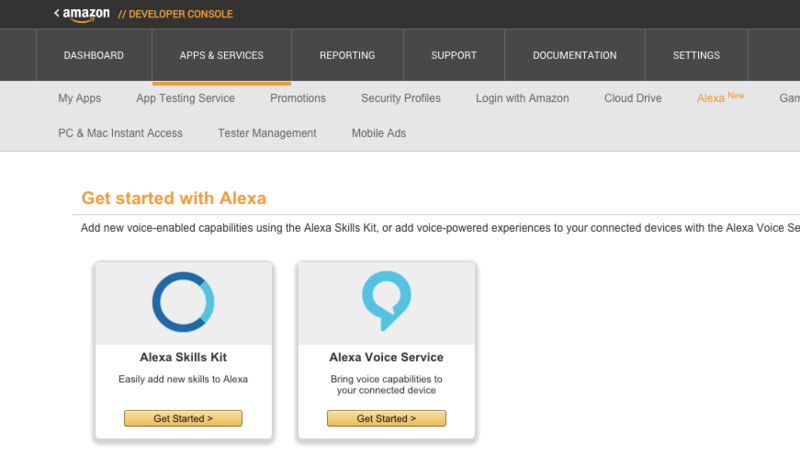 The skill is now connected to your developer account, so it is shown in the Skill section of your https://alexa.amazon.com site. 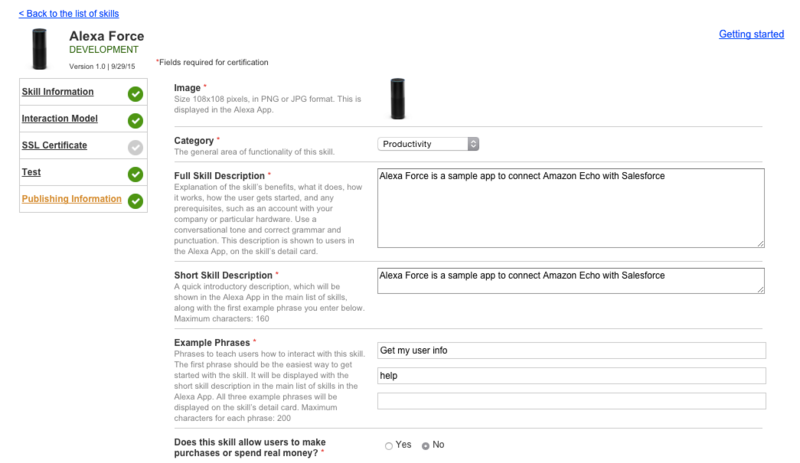 The setApplicationId sets the application you got from the first page of configuration of the skill on the Amazon site. The next lines create the new intents. The AlexaSkill class, among various getters and setters (to get/get utterances, slots and the name) provides an helper method to automatically create a response, the say() method. This classes use the ASkillRequest and ASkillResponse classes that rapresent the JSON request and response object. The GET method supports the parameter schema to which you can pass the values utterances to get the JSON rappresentation to be copied in the skill configufation on the Amazon Developer site or leave it blank to get all the intant definitions. The next step is to configure a public endpoint (es. the one provided in the example) to make this REST service available. The Salesforce community will be used to give public access to the REST service we'll be implementing, to get a custom domain and to allow different profiles to get logged in into the community. Go to Setup > Communities > Settings and enable Communities and create a custom domain (e.g. alexaforce-00-developer-edition.eu5.force.com). The community allow branding so you can change default styling (color and logo) with few clicks. 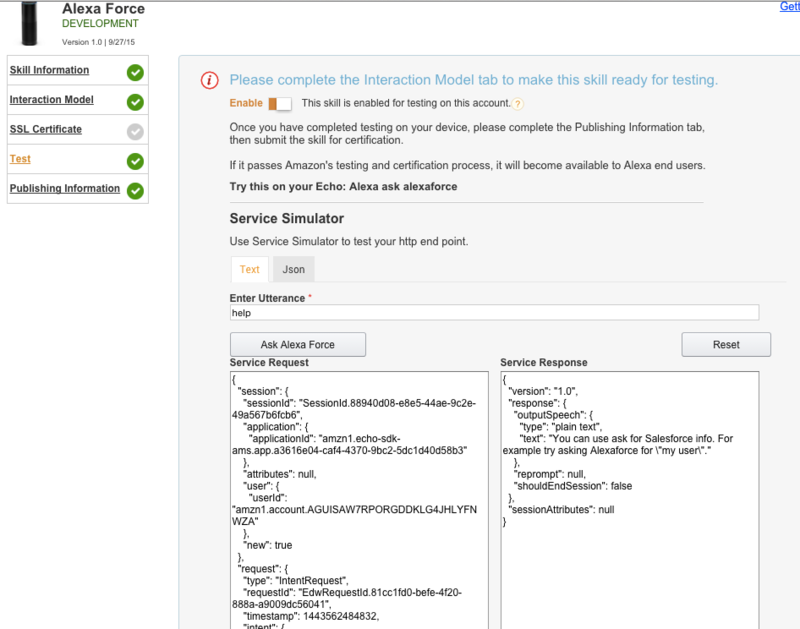 This is not the only valid solution (you could have used a simple Site with custom Visualforce pages). This way your service will be accessible outside with the endpoint https://[community_base_url]/[community_endpoint_folder]/services/apexrest/AlexaRestTest: note that the [community_endpoint_folder] is not mandatory when configuring the Community access url. Last step is to configure the account linking. 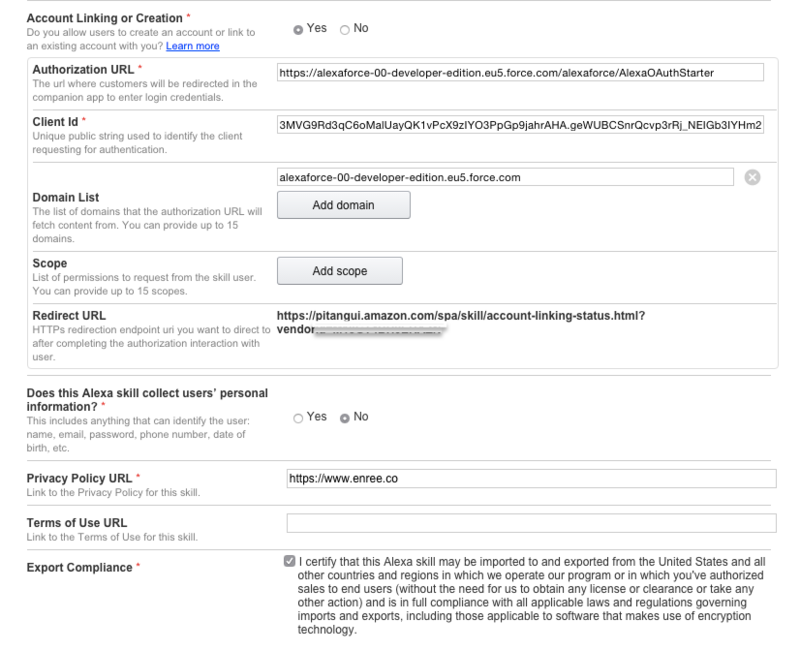 The intent's execute() method makes a call getting the (SOAP) UserInfo info about the current users associated to the authorization token provided with the request received (request.session.user.accessToken value): the response will be Alexa telling "You user's full name is ...". Remember to add a Remote Site Setting configuration to your community domain, otherwise the callouts won't work. The code is not optimized at all (you have to change the communityFolder variable to fit to your Community configuration). 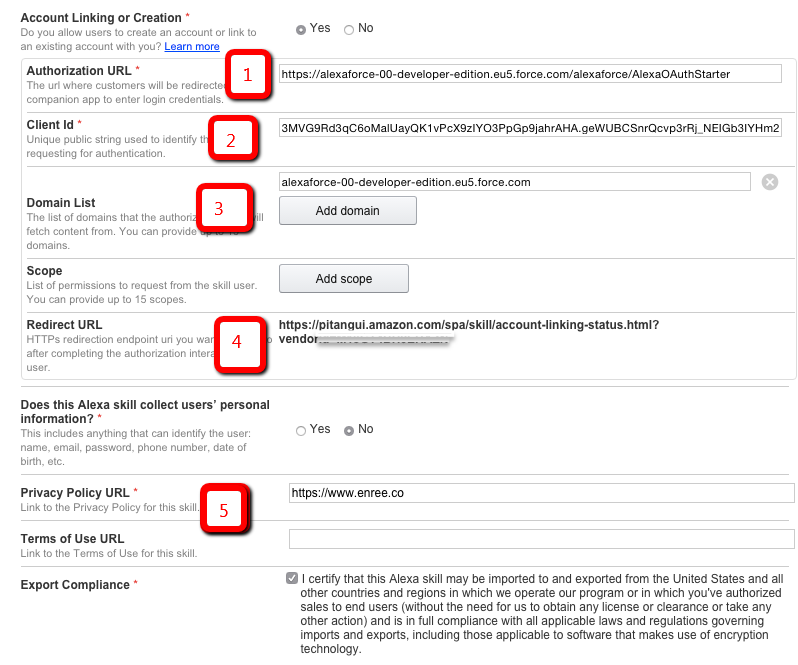 The Callback URL is set with the Redirect URL of the Skill configuration in the Amazon developer site (the one got at the beginning of the article). 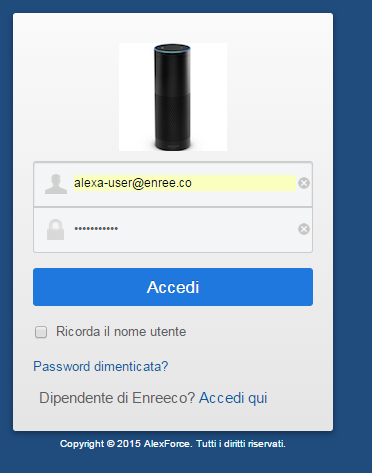 The last piece of configuration of the Account Linking is the Authorization URL that should be the the Community's login page like https://alexaforce-00-developer-edition.eu5.force.com/alexaforce/login: unfortunately when linking accounts Amazon's Alexa Skills page doesn't sends to the login page the redirect_uri parameter that is mandatory for successfull Salesforce OAuth process completion. That's why we need a custom login page that will be a proxy to the real login page: this is the AlexaOAuthStarter Visualforce page. This page will be your entry point for the authorization process. Remember to enable this page to all the Community's profiles. Your skill is ready to be used. Now Alexa has your access token to make requests to your Community's API interface (whether it is via SOAP or REST). 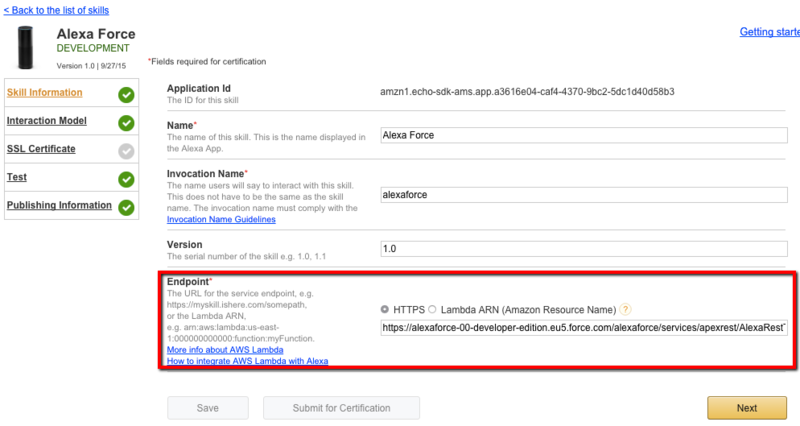 Remember: Salesforce sessions don't last forever and the Amazon Skill documentation states that you are forced to disable and re-enable the skill if you have to refresh the access token. Now try to say Alexa ask alexaforce for my user and she'll magically cry out your name! 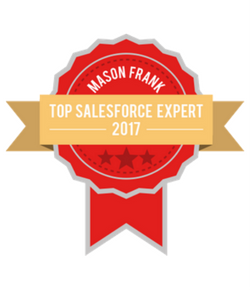 You have no excuse to develop some awesome app integrating Alexa with Salesforce.